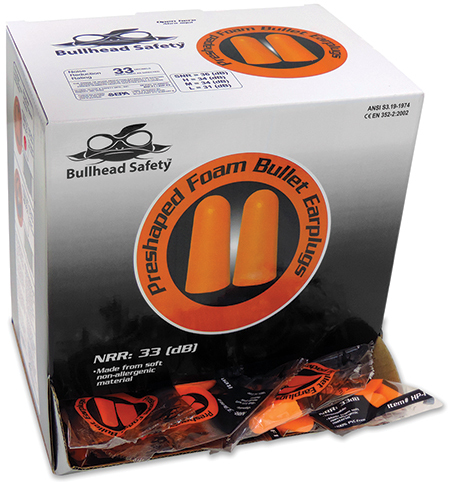 The Bullhead Safety brand of Global Glove & Safety Manufacturing has introduced a new lineup of hearing protection, including earplugs available in disposable foam and reusable silicone, in corded and uncorded options. Each pair comes individually packaged, and is dispensed from an easily accessible, retail-ready box. Also available: high-visibility lime earmuffs, from economy to cap-mounted and premium versions, that are ANSI S3.19-1974-rated. Noise-reduction ratings range from 22 dB to 27 dB. See also: Global Glove & Safety Manufactuing Inc.